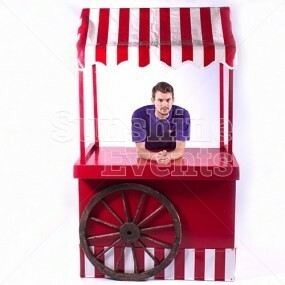 Hire the Popcorn Machine and treat yourself and the people around. 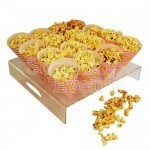 Popcorn doesn't have to be just for that trip to the cinema. 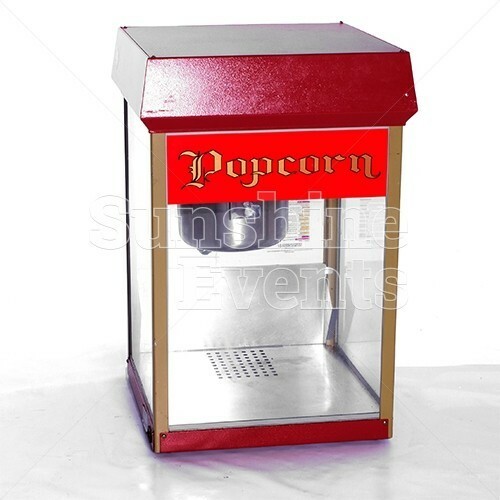 Our Popcorn Machine can be used for any occasion, big or small. 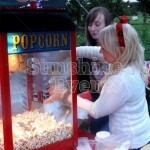 So whether its for your childs birthday party or your company's family fun day, our Popcorn Machine will go down a treat. 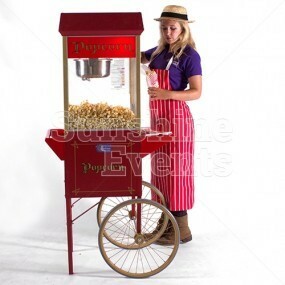 You will never have tasted popcorn as good as this. 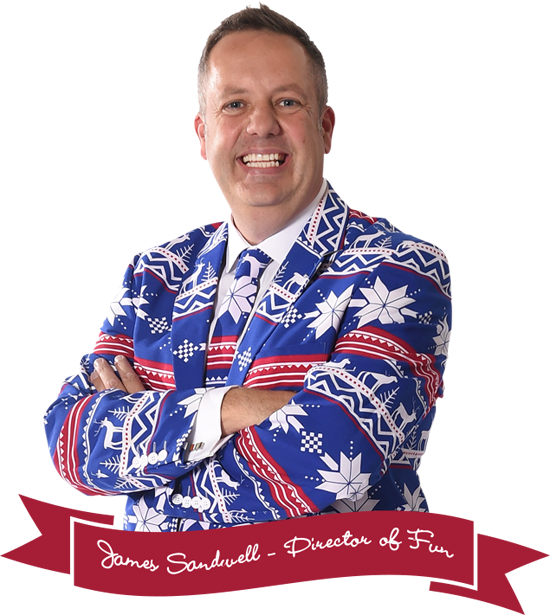 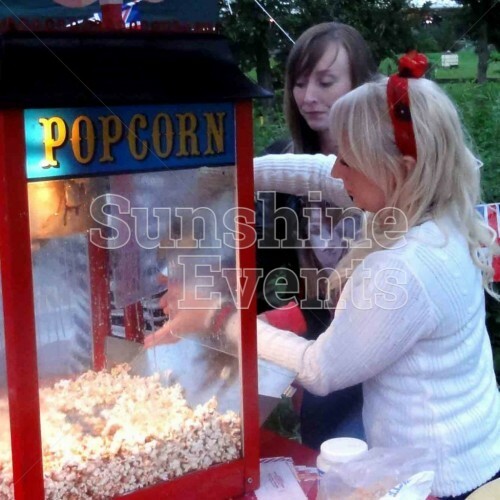 Made fresh on the spot at your event, either a fun expert can come along to make and serve the popcorn while you enjoy the day or you can get in on the action too. 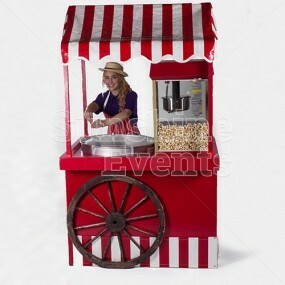 You can be trained to use the machine to make your own popcorn, it really is very simple. 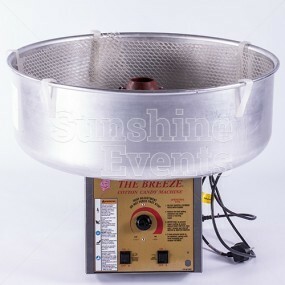 Using only 3 ingredients (raw corn, sugar and coconut oil) all you need to do is add the mixture and then the machine will do the rest for you. 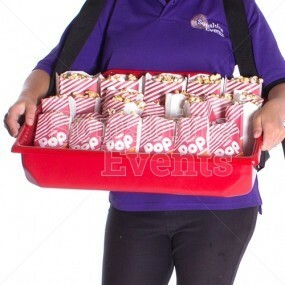 Well, you will need to serve it into the attractive popcorn cones, of course. 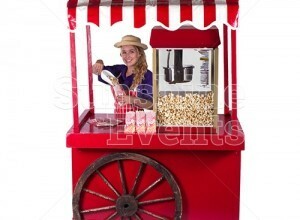 The Popcorn Machine Hire is a perfect choice for the smaller event where you may be working to a smaller budget but want to ensure that your guests come away having had a fantastic time. 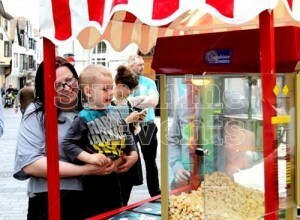 And trust us once they taste the sweet popcorn, they won't forget the time they've had. 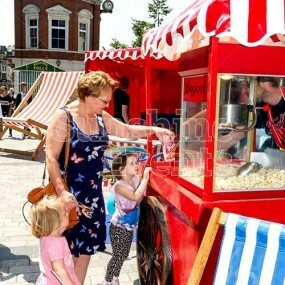 Popcorn on a Traditional Cart - you could upgrade your hire of the machine to the full traditional set up, seeing the Candy Floss machine set up within our traditional, red and white stripe roofed cart. Usherette Trays - with the fun food being busily made on the cart, keep queues down and bring the food to the guests with these fantastic cinema style Usherette Trays. 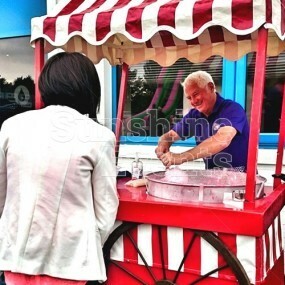 Additional Fun Foods - from Candy Floss to Ice Cream, we have a selection of Fun Foods that will add even more sweetness to your event. 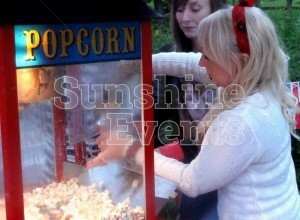 Popcorn Machine Hire has been added to your Event Quote.